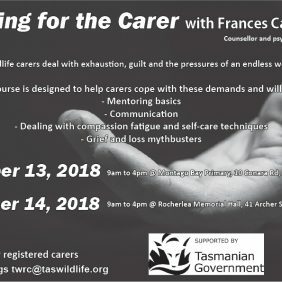 The Tasmanian Wildlife Rehabilitation Council is part of Australia’s biggest giving circle which helps us raise funds for the work we do with our amazing wildlife and their carers. In 2017, MyGivingCircle will donate $30,000 to more than 50 charities around the country. We’d love to be one of them. 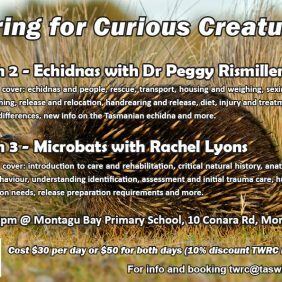 The next round of donations ends on December 20, so to give us the very best chance, register today at MyGivingCircle and vote for the Tasmanian Wildlife Rehabilitation Council. The charities that receive the most votes by December 20 will also receive a financial boost. In addition, we receive another vote for every dollar donated to us through the circle. Please join and register today and become part of our giving circle, which will help us give back to our stunning wildlife.